Sep 6, 2018 • Researchers from the Amazon Research Team of the University of Turku have succeeded in producing distribution maps for a selection of important tropical tree species in Peruvian lowland Amazonia. This was achieved by using machine learning methods that combine satellite imagery and field data. The study shows that it is possible to model tree species distributions at a spatial resolution that is fine enough to facilitate the practical management of forest resources. “Landsat provides a very good coverage of Amazonia both spatially and temporally. 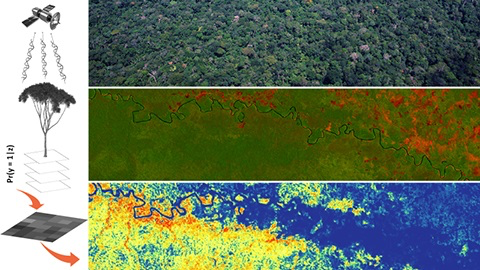 We have known for some time already that the Landsat images can be used to identify ecologically relevant environmental and biotic variation in Amazonian rainforests, but this is the first time we use satellite images to actually predict species distributions,” says Professor Hanna Tuomisto, leader of the Amazon Research Team of the University of Turku. The reliable interpretation of the patterns visible in satellite imagery requires ground truth data, i.e. data from the field. 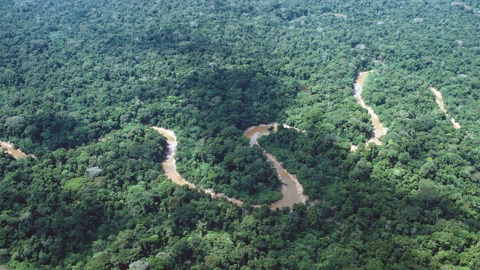 The researchers obtained such data from the forest concession Forestal Otorongo in southern Peru. According to the Peruvian Forestry and Wildlife Law, forest concessions have to carry out a forest inventory before initiating any logging activities. Forestal Otorongo gave their data to the researchers to analyze in order to increase the knowledge base for improving forest management practices in the Peruvian forestry sector. “The amount of data that the forest censuses contain is enormous. It would be practically impossible to cover as large areas in such detail with normal botanical expeditions,” says University Lecturer Kalle Ruokolainen, who also participated in the study. 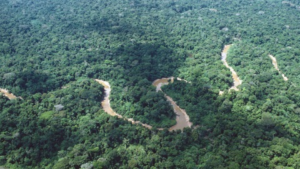 “Deforestation is rapidly advancing in southern Peruvian Amazonia. This study contributes to mapping the distribution of important tree species and identifying suitable areas for management and conservation purposes. The overarching goal is to provide simple and practical tools for decision-makers,” says Pablo Pérez Chaves, Peruvian doctoral candidate at the University of Turku. Pérez Chaves, P., Ruokolainen, K. & Tuomisto, H. 2018. “Using remote sensing to model tree species distribution in Peruvian lowland Amazonia.” Biotropica.50 (5):758-767. doi: doi:10.1111/btp.12597.